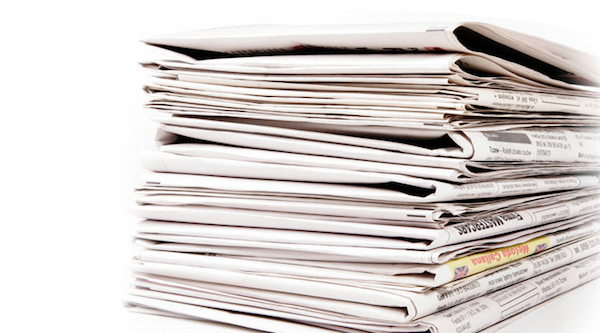 Steve’s breakdown: Adams Publishing Group now owns over 100 newspapers & shoppers and they’re not stopping. Someone’s got to get in there and make sure they take care of all those local brands properly. Plus, who knows, your local paper could be their next purchase. MINNEAPOLIS, MN: As family owners of newspapers are deciding in waves to exit the difficult industry, many of them are finding a new and eager suitor — the secretive Adams Publishing Group. Barely three years old, Minneapolis-based Adams has assembled a group of more than 100 small dailies, weeklies and shoppers in at least 15 separate transactions. In contrast to other big consolidators, they often leave existing management in place, do not impose cookie-cutter content templates, and do not start by stripping down newsrooms of editors and reporters. The company launched in March 2014 by buying three of the four divisions of American Consolidated Media. Other notable acquisitions have include the Idaho Falls Post-Register and Washington Post Southern Maryland Newspapers in 2015, and the 20 dailies and weeklies of well-regarded Pioneer News Group papers in the Pacific Northwest two weeks ago. What opportunity does the Adams clan see that others don’t? Best indications are they think that in small towns community newspapers still have strong local franchises and can flourish. I say “best indications” because members of the family seem to never, ever talk to the media about the publishing venture or their many other lines of business. The bare-bones Adams Publishing website lists no main office executives or a phone number. Press releases about the series of acquisitions do not list an Adams contact. Patriarch Stephen Adams, roughly 80, has been at this a long time — since graduating from Stanford Business School in 1962. He first assembled outdoor advertising companies, then a group of community banks. Most notably Adams started and is still a director of the huge Camping World/Good Sam network of RV dealers and camping equipment retailers (currently a highly visible “presenting sponsor” of the MLB league championships). One thing is for sure: The Adamses are loaded. Estimates put the family’s net worth north of a billion dollars. In 2005, Steve Adams and his wife donated $100 million to the Yale School of Music, a gift he revealed three years later in a Wine Spectator article about his vineyards in California and France. Adams has four sons. The second, Mark Adams, is CEO of the publishing group. Minneapolis Star Tribune publisher Mike Klingensmith told me he had never heard of any of them until Adams Publishing began buying suburban weeklies in a ring around the Minneapolis metro in 2016. He later had several business meetings with Mark. Mark did make an exception to the vow of public silence when he spoke about a year ago to the annual family owners meeting of the Inland Press Association. A copy of his Power Point made it onto the internet, and he is on the program for the national news media Mega-Conference in February in San Diego. Hardly a tell-all, the talk at least gives a window into the operation and the family’s affinity for the newspaper business. Ownership is split evenly between father Steve and the four sons. They form the board along with “two outside directors with family ties.” Last fall the company employed 1,600 full-time-equivalents and has added more since. The attraction of newspapers? Adams mentions that they are out of favor and available at “low valuation multiples.” Local brands and exclusive local content have a bright future, Adams said. (His presentation makes no mention of digital, and the company’s website is illustrated with a stack of newspapers). In talking to the Inland group, Mark let drop that his is a “third-generation media family.” His grandfather, Cedric Adams, was a big local celebrity when I was growing up in Minneapolis with a popular radio show, a column in the Minneapolis Star and a lucrative sideline voicing national TV and radio ads. The last of the Inland slides has a picture of a smiling Cedric, in a carnival barker’s candy cane sports coat, posing with Jayne Mansfield. One might speculate how son Steve came to be as reticent as Cedric had been a ham. But Steve, too, has made infrequent exceptions to the family’s no-comment norm. He cooperated in a Yale Daily News article on the Music School gift, explaining that he developed an interest in music only after taking up the piano as a hobby at age 55. He wanted music majors to have the best of equipment and teachers and not to be burdened with student loan debt, allowing them to pursue a professional music career. He went on the record about the previously anonymous gift to encourage classmates to give generously. The article quoted a Yale classmate saying Adams had been able to be successful in diverse fields he did not necessarily know well by linking together formerly isolated small businesses — be it community banks or camping gear. The current focus on the smallest of newspapers, nationally dispersed, fits that pattern. — First, the business should be in an industry with a fair degree of activity from buyers and sellers, allowing value to be established clearly. — Second, invest in easily identifiable profit centers, without a lot of … overhead and indirect costs. — Third, the investment should be able to attract a lineup of lenders. One lender doing a one-off financing is not enough.The multiple lenders will provide a fluid and liquid market for the investment when the time comes to buy or exit. In their short time as operators, the Adams get good reviews, even cited, in a University of North Carolina study, as a partial antidote to the disturbing trend of growing news deserts as community papers weaken. That has been the experience of Roger Plothow, editor and publisher of the Idaho Falls Post Register for 17 years when family owners sold. He is still there two years later and has been promoted to a regional group president for Adams. Imposing a standard web template as most consolidators do, Plothow added, is just not the Adams Publishing way, but they are available for advice or to help get the best deal when upgrades are needed. Greg Jones, whose family sold the Greeneville Sun and other Jones Media papers to Adams over his objection a year ago, also chose to stay and has nothing but good things to say about the company. Like Plothow, he has been promoted to regional president. In an e-mail exchange, Mike Gugliotto, president of Pioneer, told me he had been on a week’s tour introducing Adams management at various properties and was favorably impressed. Gannett, Tronc and New Media/GateHouse have been the big players in consolidation for the past several years, and there are also private companies like Ogden Newspapers ready to buy when others are exiting. As for Adams, they clearly have plenty of cash on hand and access to credit to buy many more properties if so inclined. Will they? Warren Buffett offered a similar assessment of franchise value five years ago as his BH Media began buying mid-sized newspapers. However, Buffett has turned less optimistic about the industry lately. In search of comment, I did track down a main office for all the Adams businesses (“Adams Office”) in Roxbury, Conn., where a courteous woman told me that Mark Adams was not there but she knew where to find him and could pass along a message. The call, needless to say, was not returned.